Barry playing Hooky. Went fishing!! Dave on Cowichan River, brown and rainbow trout on nymphs. It is a Pretty River, Fall Caddis is rusty colour, Early Caddis green, Summer Tan. 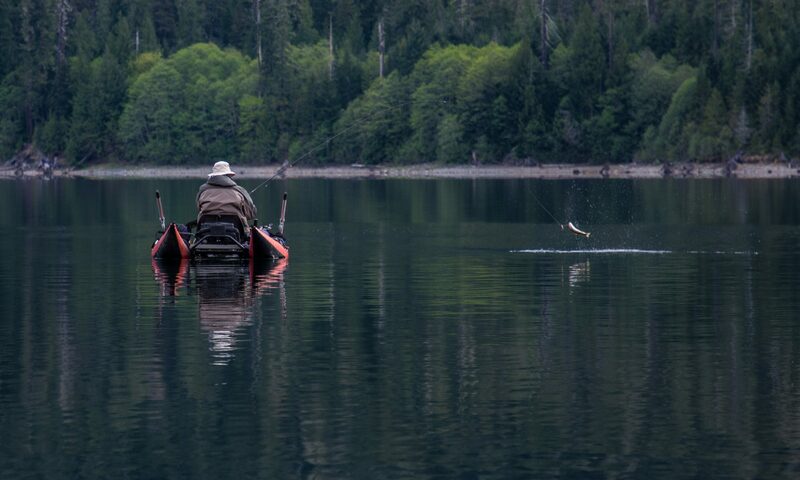 Prospect Lake with Woolly Bugger and downrigger, fish on each. Cecil, fishing Sooke River, 8 fish and broke his rod. Brian and Bill in Sooke, lots of fish. Dennis got 6, lost 3. Ryan, 11 lb Coho at Otter Point at Sooke. Winter Springs are being caught. Halibut are showing up too.